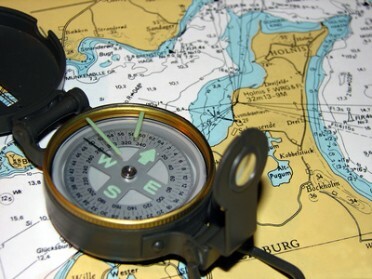 This course is perfect if you are new to sailing or would like to know more about navigation and seamanship.. 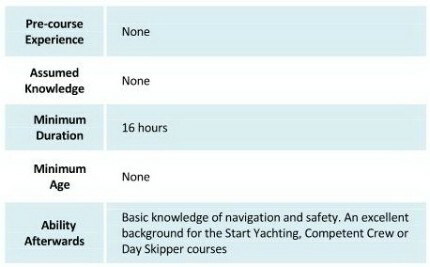 It's the ideal introduction (or refresher) for anyone going afloat on inshore waters and is an excellent stepping stone to the more in-depth Day Skipper theory course, or to practical courses on the water, such as the Start Yachting, Competent Crew, or Day Skipper practical courses. It's a highly functional course with lots of opportunities for you to put your knowledge into practice using the exercises provided. You will receive a course pack which includes a chart plotter, course handbook, exercises and an electronic chart plotter CD. The course is taught over 16 hours with exercises to complete along the way. It can be taken on its own, or can be combined with the three day Start Yachting practical course in order to make an ideal, five day introduction to yachting. The course can also be taken as part of a seven day Competent Crew practical course, both of which can be included in a longer sailing holiday if required.